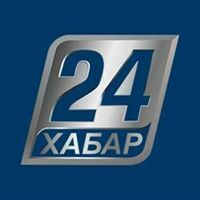 News TV Channel / Khabar 24 is the first and only 24-hour news channel in Kazakhstan (old name is 24KZ). The channel is opened by the initiative of the President of the Republic of Kazakhstan Nursultan Nazarbayev. The test broadcasting of the channel started on July 3, 2012 on the basis of capital "Kazmedia center", then stardet full-fledged air on September 1, 2012. At the first stage the channel was broadcast through the national network satellite and radio digital broadcasting "Otau TV". In January, 2013 began the channel translation through networks of a cable television, and in March of the 2014th – through system of analog TV began. The main product of the channel – the News program – that is on air through every half an hour - 48 releases every day. Between releases of the News program information and thematic programs are broadcasting. Additional source of information - "creeping line". It is constantly updated news line, and also the operational report of weather across Kazakhstan, an exchange rate, indicators of stock exchanges and so on. The 24kz channel broadcasts 54 information and thematic programs. Including 44 by outsourcing and 10 on the Kazmedia Center base.